I had the chance to get a free body composition test at work and the results provided an eye-opening opportunity to see exactly how much fat, water and lean tissue I have — plus an indicator of metabolic rate. Several years ago, I contacted the local medical university wellness center about getting a body composition test done, but there was a fee of about $50 and the hours testing was done weren’t suited for someone who works 40 hours a week. When the test was offered at no cost in my workplace, I jumped at it! 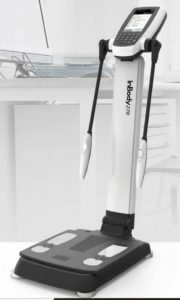 The equipment used looked like a scale in a doctor’s office with “arms” that had a metal sensor at the end to place both thumbs. Multiple electrical voltages are sent through the body which measures the different resistance of the make up of the body (you don’t feel a thing and it doesn’t hurt!). It only took a few seconds to touch the sensors and do the test, and soon after stepping off the scale, the machine produced a fairly detailed paper report, taking into consideration height and age. Basic Metabolic Rate (minimum number of calories for a totally sedentary person to sustain life) = 1403 calories/day. Multiply that by a factor of 1.3751 if you exercise and are active (which I am) — and that comes out to 1,929 calories/day (unfortunately). Have always had extremely muscular legs and was amazed that both came in at less than 100%, but was equally surprised my arms exceeded 100%. Guess the 15 years of lifting weights in Body Pump class an hour a week helped some! If you get a chance to take the test, do it. You can repeat the test and chart changes as you lose weight or exercise more, so it’s a great way to track specific results. First Acupuncture Experience: It Didn’t Hurt! 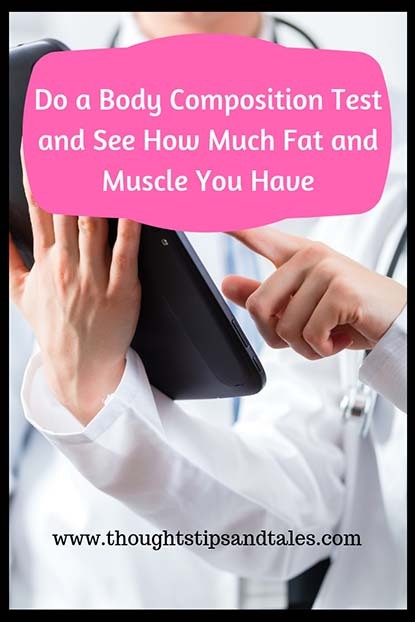 This entry was posted in fitness, life and tagged body composition, body composition test, do a body composition test, fitness. Bookmark the permalink. That’s cool. I never heard of the lean analysis before. Glad you got good results. Did it make recommendations for types of workouts you should continue? Interesting machine. Did they mention the margins of error associated with those results? Marcus recently posted…Alignmed Vs Intelliskin – Which Shirt Is Best For You? They gave a list of things to do beforehand for best results, but I couldn’t do many of them since we were at work so I’m sure my results were off some.